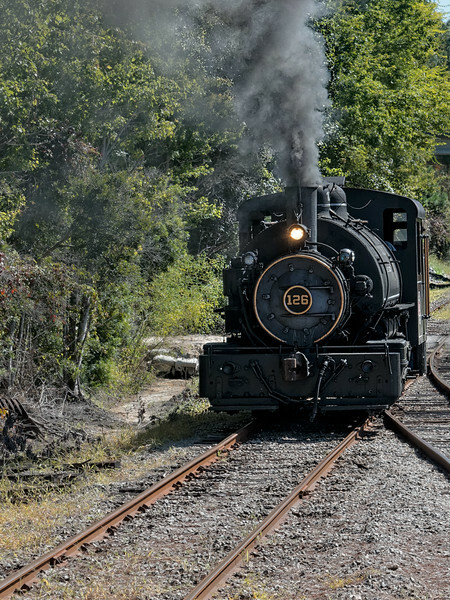 The Lehigh Valley #126 locomotive was built in 1930 at Vulcan Iron Works in Wilkes-Barre, Pennsylvania. It burns coal 1500-3000 degrees to heat the 1250 gallons of water stored in the saddle tank into steam. The steam flows down to the piston cylinders and turns the actuating rods which turn the wheels.